Feathr, the global leader in data-driven event marketing, announced today winning the 7th Annual Eventex Global Event competition for their Event Marketing Cloud in the category of Best New Event Technology. This category recognizes the most useful and innovative event technology solutions in the global event industry. Feathr, The Event Marketing Cloud, has been selected as winner of the prestigious UFI Technology Award. Each year UFI, The Global Association of the Exhibition Industry, grants their Technology Award to the best new technology that supports the exhibition industry. This year, UFI's international panel of exhibition professionals selected Feathr as the standout company from the large group of world-wide contestants. 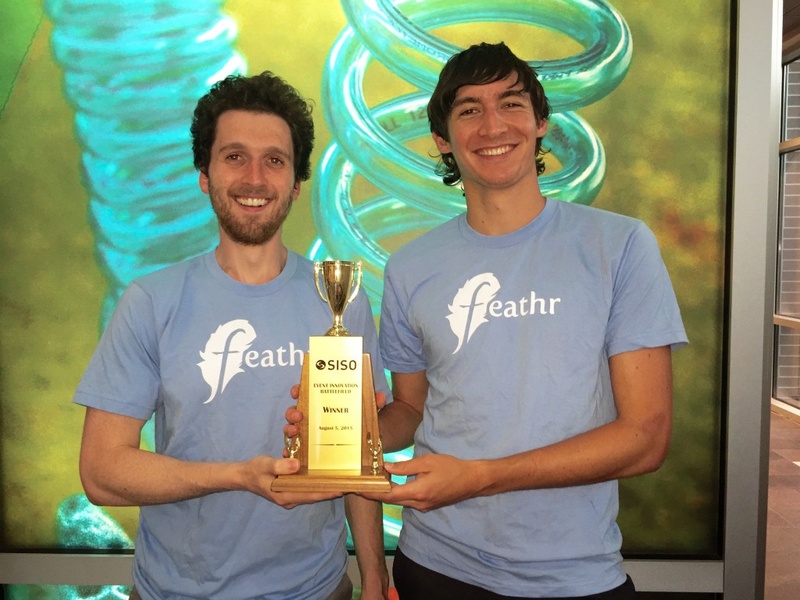 Feathr's Event Marketing Cloud Wins SISO "Battlefield"
Feathr, a startup company building digital marketing software for conference and trade show organizers, was voted the winner of the Third Annual Event Innovation Battlefield last week at the Society of Independent Show Organizers (SISO) Leadership Conference in Dallas, TX. Four technology companies were invited to pitch the exclusive audience of approximately 250 event industry executives. Each was given fifteen minutes of stage time (including audience Q&A) to present their company’s product, followed by an audience vote for the best solution. When the dust settled, Feathr was declared the victor.